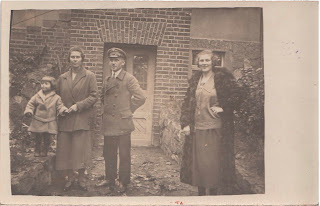 Following on from my last post about a pamphlet on family health, I decided to blog about 3 photographic postcards of different families. They are all photographic postcards, all split back and all taken around the same time (1920s or 1930s). The really interesting thing is that they were taken in different countries and show normal lives that would inevitably change when WW2 began in 1939. 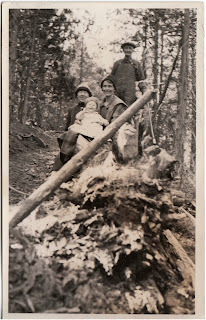 This photographic postcard was sent to me by a friend in Canada who collects all sorts of old photos and ephemera. It shows what looks like 3 generations of a family in the woods. The back is clear with no writing, but there is an AZO design for where the stamp should be placed. According to the website www.edinphoto.org.uk,this Kodak stamp design means we can date the photo to the period 1927-1940. The next photographic postcard was taken in Germany. Unlike the card before, this does have writing on the back. So what was life like in Frankfurt in 1925? Well, it looks rather cold from the photograph. I found some old film footage from 1927. I can imagine them walking around the city. My final photographic postcard was taken in the UK. 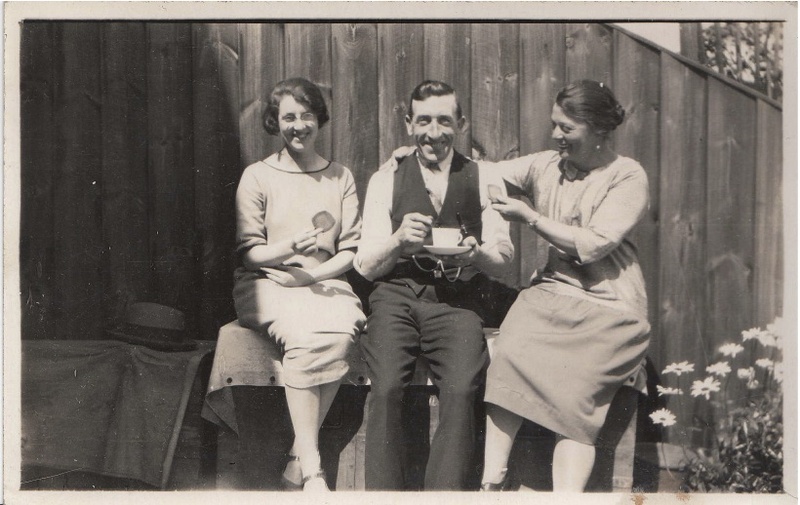 It is a rather jolly photograph and is just exactly what you would want in an old English photo: a garden, a cup of tea and some biscuits! 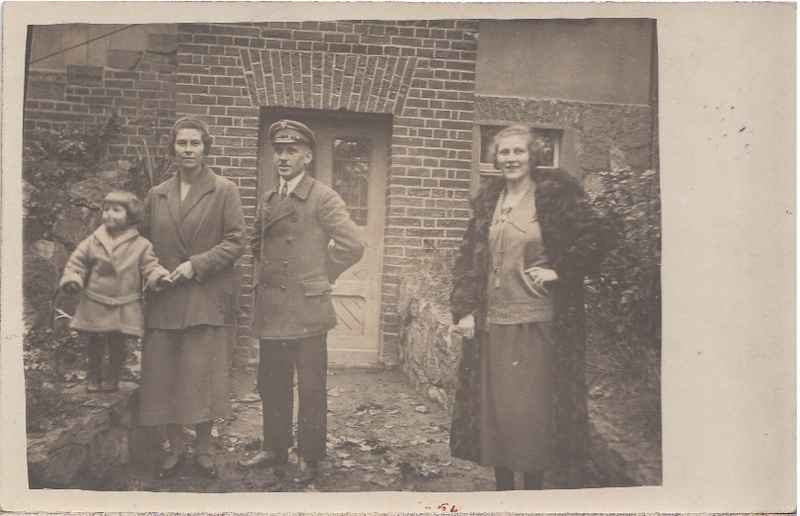 As there is nothing written on the back, I am guessing the photo was taken in the late 1920s or early 1930s. This is one of my most recent finds, and one I just couldn't resist as it captures such joy.